My response is always the same: yes! But the question of buying an existing home vs building a new home is complex, and usually requires more than simply an initial meeting. Buying an existing home in the current housing market is almost always less expensive than building new. This is true for two main reasons: The first reason is existing homes have been around longer, were constructed with materials that are less expensive, have depreciated over time, and unlike the pre-2008 housing market, have mostly lost value over the last 8 years. 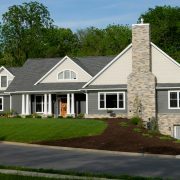 The second reason is that to construct a new custom home, contractors must incur a large amount of “general conditions,” or planning and preparation costs, to construct that new home, like excavation, permits, house plan design costs, structural engineering costs, and utility connections. All told, custom home contractors in some cases must spend as much as 20% of the total cost of a new home, on preparing the site before one brick is laid. So why does anybody build a new home!? The answer lies in the same reason consumers buy Cadillacs and free range eggs. These products cost more than Chevy’s and store brand grade A large white eggs, but the consumer gets much more in return. The feel of a heated steering wheel and a supercharged engine, and the golden color of a free range egg yolk frying in the skillet justify the extra cost, and the same is true for new custom homes. New custom homes, constructed by top custom home contractors, come packed with the latest features, like state of the art insulation and super high efficiency heating and cooling systems. Customers can participate in the process of building new custom homes, side by side and in partnership with their custom home builder, so they know exactly what materials are behind the walls and exactly how the home was constructed. Custom home contractors also customize the home for the clients’ specific needs so customers can thrive in their new home, instead of living with inconveniences of a home that was designed and occupied by someone else. Existing homes, though usually less expensive, also usually come with unexpected baggage. 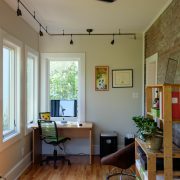 What type of insulation was used in the walls? How old is the HVAC system? What materials were used in the plumbing pipes? Which walls are load bearing? 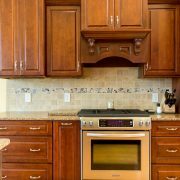 Are any of the appliances still covered by the original manufacturer’s warranty? Is the window manufacturer still in business to service the windows? Often the process of answering these questions and solving these problems, costs consumers as much, if not more, money in the long run as paying more for a new custom home up front. If you find yourself in the position of debating buy vs build, consider the hidden costs that may accompany that low price tag, and the benefits that will likely accompany the cost of new construction. And if you would like to schedule a complimentary consultation to explore this question together, the answer is always yes! Few things cause chills down the spine of prospective custom home clients like the term Change Order. Few things also have the power to derail the otherwise enjoyable experience of building a new custom home like improperly executed change orders. A change order is a tool that is designed to add clarity and detail for customers on a new custom home project or remodel. Change orders, at their best, give custom home contractors the ability to customize each project to suit each clients’ specific needs, and give customers the ability to make those customizations without feeling punished. Change orders should be productive, not punitive! Unfortunately, unscrupulous custom home contractors have given change orders a bad name, buy using them to hide their own estimating mistakes and cost overruns. A true change order is a change to the scope of a project that is requested by the Customer, not levied by the contractor. Examples of appropriate change orders are: adding a screened porch that was not shown on the original plans, increasing the size of the patio from the original plans and changing from prefinished hardwood flooring to site finished hardwood flooring. Custom home contractors should not execute a change order for painting costs that exceeded the original budget, excavating costs that exceeded the original budget or any other cost that simply exceeded the original budget without the customer specifically requesting a change. Before you sign a contract, ask your custom home contractor about his or her process for change orders during construction. Make sure your custom home contractors’ contract includes a change order clause that is simple to read and easy to understand. Custom home contractors should have a clearly outlined, simple and universal process for handling change orders that include the customer, clearly communicate the cost and time implications of the change, and track that cost clearly and separately from the original project budget. Many of our customers ask for no maintenance homes. The thought of painting porch pickets, once a common way of life, is now grouped with root canals and tax returns on the list of things people enjoy the least. The sad truth is that no building is truly no maintenance. The use of high quality, durable materials can greatly reduce the amount of maintenance required, but no home or structure is truly no maintenance. Sun, wind and rain wreak havoc on the exterior of our structures, and the normal activities of daily life take their toll on the interiors. However, while no maintenance homes are as easy to build as bigfoot is to find, there are three simple tips and strategies for reducing your home maintenance, inside and out. Maintenance strategy #1: Hire an HVAC contractor to perform maintenance on your heating and cooling system. A licensed and insured HVAC contractor should visit your home no less than twice a year to perform simple cleaning and diagnostics on your system. One visit should be in fall as you change from cooling to heating, and one visit should be in the spring, as you change from heating to cooling. Your HVAC system is one of the most expensive single components to your home comfort and efficiency. Simple maintenance will greatly reduce the cost of repairs and delay the cost of replacement. Maintenance strategy #2: Clean your gutters (or hire someone to do it). The leaves that gather in your gutter each year can be unsightly, but clogged gutters can cause a whole host of other problems. The single most important thing you can do to your home is control the water that enters it. Clean gutters, and downspouts that direct water away from your foundation, prevent water, and the host of home problems that accompany water, from entering your home. Clean gutters direct water, snow and debris away from the structure of your home and give you a head start on a long and happy relationship with your home. Maintenance strategy #3: Build right! If you you are among the fortunate folks who can build a new custom home or remodel your existing home, don’t cut corners on things like insulation and heating and cooling. Spending extra money on the core systems of your home that cannot be easily replaced in the future, will guarantee low maintenance costs over the life of your home, and will maximize your investment in your home. Your hours of enjoyment and peace of mind will offset your heartbreak over the busted myth of the no maintenance home. Money is a touchy subject. Parents struggle to find ways to talk about money with their kids; money is one of the largest sources of stress between spouses, invitations to serve on fundraising and finance committees in churches, businesses and non-profits are often met with the sound of chirping crickets. Money is a tender topic. The best custom home builders have good systems of explaining costs and profits. If your custom home contractor candidate doesn’t seem to know how much he makes, or how much he will charge, chances are he doesn’t truly understand the costs of your project, which is a ripe environment for changes and budget overages. The truth is, custom home contractors have different ways to make a profit on construction projects, and there are many correct ways to charge for services and make a profit as well. Most custom home contractors use a version of a “cost plus” or “fixed price” contract. (for more on contract formats, see our blog post entitled: Contracts don’t have to make you contract”). In either format, the custom home contractor marks up the materials and labor for the project by a percentage of the total costs. The total of the markup over the entire project = the contractor’s margin on the job. In a cost plus contract, the customer sees the constractor’s margin, in a fixed price contract the customer sees one total price for the construction of their new home. Custom home contractor’s margin varies based on the type and size of the project, the proximity of the project to the Contractor’s office or home, and the type of forces the Contractor employs. Custom home contractors who have their own employees installing carpentry, trim, drywall, cabinets, etc, can often work for a lower margin, because they are also making a profit on the wages of their workers. Contractors who sub contract large portions of the work tend to charge higher rates, though the total net margin is usually very similar in both methods. In general, custom home contractors who participate in peer groups like the NAHB 20 Club program, are better informed and educated about profits and job costs, than those who do not. Talk to your custom home contractor about money early in the interview process. Instead of choosing the lowest margin contractor, work to understand his methods, and his business, and hire a contractor who knows his business and gives his customers transparency and accountability with the money. Why do some homes have 4” walls, some homes have 6” walls, and some homes appear to have 12” walls? What’s the difference between types of wall construction, and why would a homeowner choose one type of construction over another? 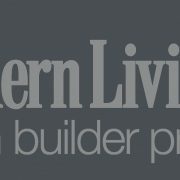 The best custom home builders have experience with a variety of wall construction types, and can assist their customers with making the choice that’s right for them. The International Residential Building Code allows builders to construct walls with 2×4 framing and insulate these walls with R16 fiberglass batt insulation. 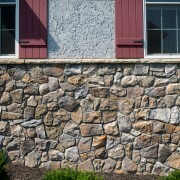 This wall type is commonly referred to as “code minimum” because it is the least expensive, least insulated wall system allowed by code. This wall construction is predictably also the fastest way to construct homes, so this method is often found in spec homes and apartment buildings. Code minimum construction fills an important place in the new construction market, but also is the lowest performing type of wall construction, and should be considered carefully for new custom home builders and customers who care about comfort and energy efficiency. 2×6 wall construction adds 2” to the thickness of each wall, allowing for thicker fiberglass insulation with a higher R value, or spray foam insulation to be installed, greatly increasing the efficiency and performance of the entire home, and the comfort of the inhabitants of the home, for a marginally higher cost. 2×6 walls with spray foam insulation allow much less air leakage into and out of the home than 2×4 walls with fiberglass insulation, reducing energy bills and dramatically improving comfort. Custom home builders with an uncompromising commitment to quality and energy efficiency always discuss insulated form concrete (ICF) construction with their prospective customers as well. ICF walls are 12” thick, and are comprised of 2” of styrofoam insulation on the exterior, 8” of solid concrete in the center of the form, and 2” of styrofoam insulation on the interior, resulting in a 12” thick wall that is strong, quiet, and boasts an R value of 45 with virtually zero air infiltration. ICF construction, simply put, is the single best way to construct a new home for customers who plan to build a legacy home for their families.